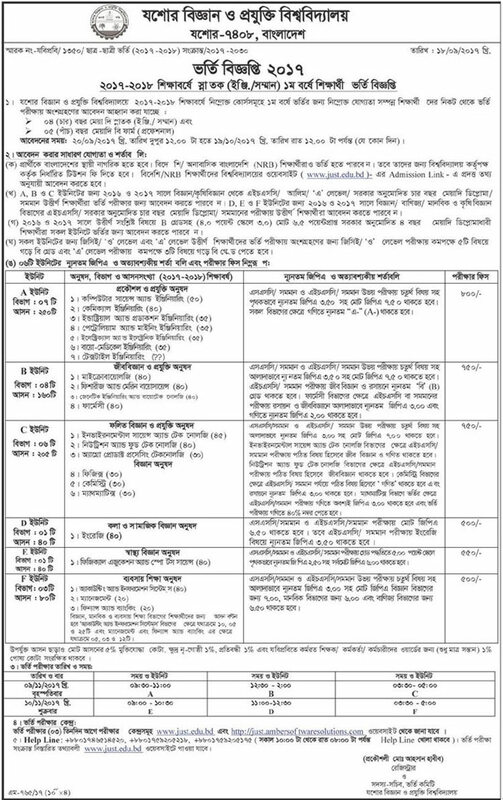 Science Technology University Jessore Admission Notice & Result 2018-19. 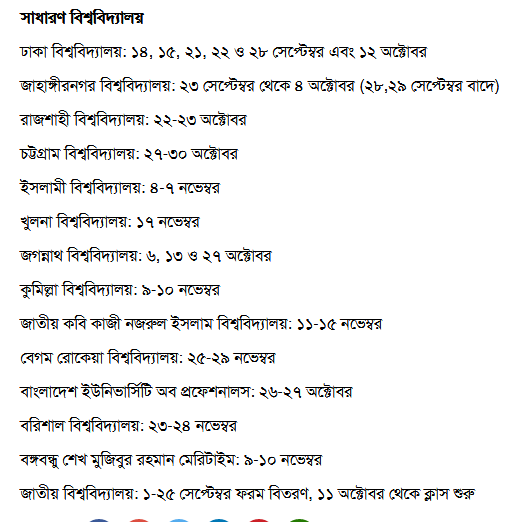 Jessore University of Science and Technology (JUST) admission Apply Online 2018-19. Application starting from 20 September 2017 and ending on 19 October 2017. 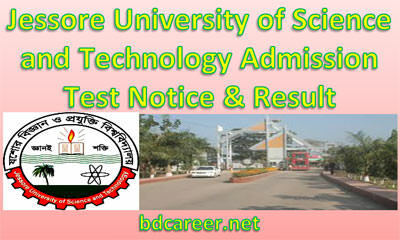 Jessore University of Science and Technology (JUST) is a newly established renowned public university of Bangladesh. It was established in 2007. In 2010, Honorable Prime Minister Sheikh Hasina properly inaugurated the new campus of JUST. 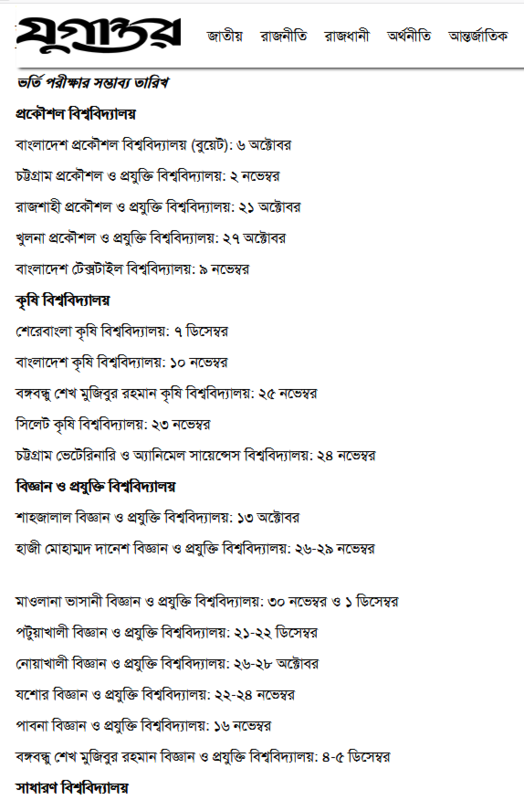 The admission test result of all units of Jessore University of Science and Technology (JUST) will be published here on 10 November 2017 just after publication.